Candidates interested in pursuing medical courses from Kerala state can register for the state counselling process on the basis of their NEET 2018 marks at CEE Kerala official website. 14 June 2018: The Office of the Commissioner for Entrance Examinations (CEE), Kerala has asked the NEET qualified candidates to submit their NEET UG 2018 score on the official CEE Kerala website for preparing the state rank lists for NEET counselling. Candidates interested in taking admissions to Medical courses such as MBBS, BDS, Homoeopathy, Siddha & Unani, Ayurveda, and Allied courses such as Forestry, Agriculture, Fisheries, and Veterinary should submit their NEET score latest by 17th June 2018 (05:00 PM). So, candidates interested in pursuing the above courses from colleges in the state of Kerala from the academic year 2018-19 can submit their NEET marks for participating in the CEE Kerala NEET UG 2018 Counselling process. CEE Kerala will prepare rank lists for medical and allied courses on the basis of data submitted by the candidates. The rank lists of MBBS/BDS, Ayurveda, and Medical & Allied courses will be released on 20th June 2018 (tentative date). Go to the official website at https://www.cee.kerala.gov.in/. Click on “KEAM 2018 – Candidate Portal” link on the home-page. You will be re-directed to the sign-in page. Enter your application number, password and security code. 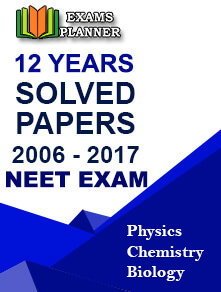 Submit your NEET 2018 marks. Download the confirmation page and take a print out. Candidates who have already registered for KEAM 2018 Engineering/Pharmacy/Architecture courses and have not selected medical courses can now add the medical course and submit their NEET UG score if they have qualified the exam. Such candidates are required to pay the balance application fee through online mode of payment. The details about the balance of application fee and the duration of remittance will be informed through a memo on the home page of the candidate’s profile. All candidates are requested to carefully read the Government approved prospectus for admission to professional courses 2018 in the state. The prospectus is available on the CEE Kerala official website.